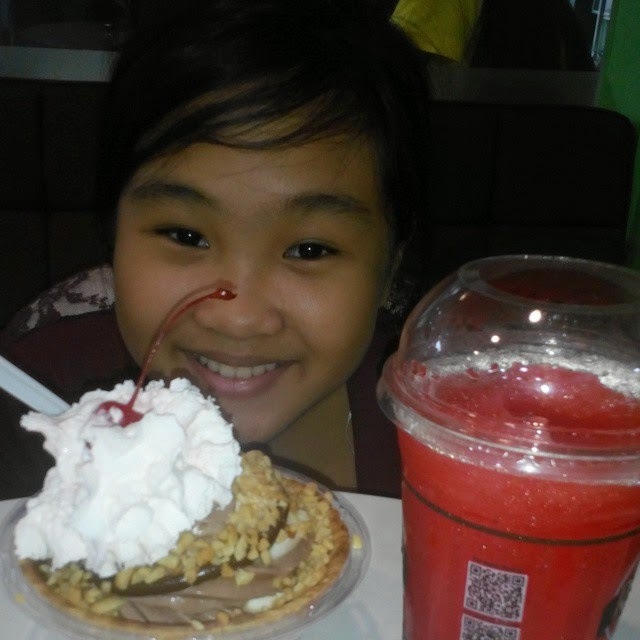 Earlier today, Rita's Italian Ice had its grand opening at Greenhills VMall. 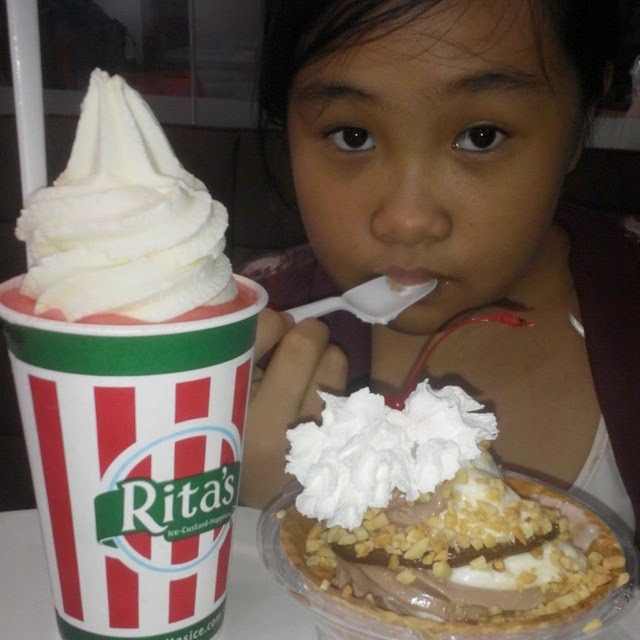 After its soft opening in November last year, Rita's Italian Ice is now full blast in bringing in the first Italian Ice and Frozen Custard concept in the Philippines and in Asia. Four more stores around Manila are set to open first quarter of this year. As I child, I love indulging in ice-flavored treats. It makes a refreshing frozen dessert on a hot summer day. While Rita's Italian Ice reminds me of my childhood snowballs and snow cones, it is way far better than ice shavings topped with flavored sugar syrup. Rita's Italian Ice applies the Italian Ice-making technique which results to a fluffy ice dessert with a syrup-like consistency. It is much smoother and flavorful as it has fruit bits in each cup serving. They make fresh ice daily in fruity flavors such as lemon, mango, blue raspberry, green apple, watermelon and wild cherry. 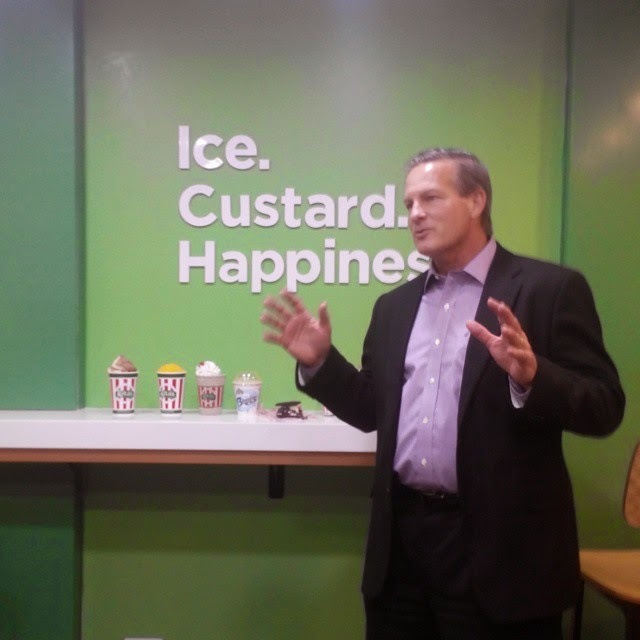 Aside from Rita's scoopable Italian Ice, the Frozen Custard is another core product that they offer. 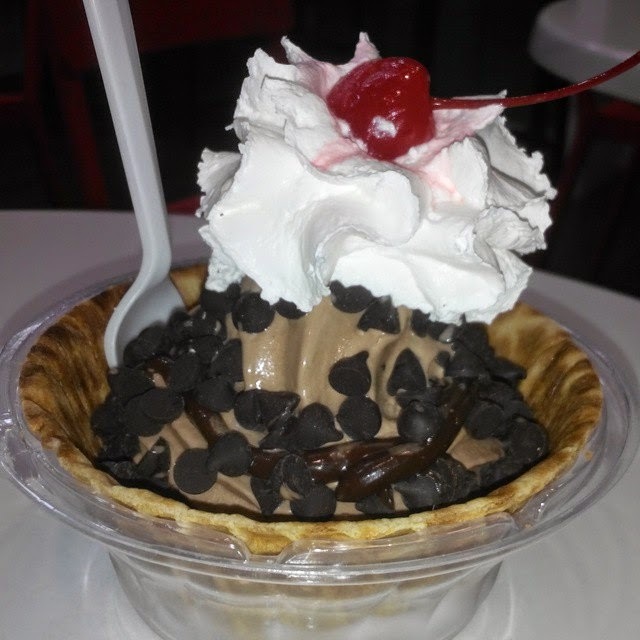 Frozen custard is a cold dessert similar to ice cream with egg yolks added in to create a smoother texture. You can mix and match their Italian Ice with their Frozen Custards. Other products offered are Gelati (a mix frozen custard mixed with a layer of Italian ice), Misto (drinkable blend Italian ice and a custard), Blendini (blended custard, Italian ice and mix-in toppings) plus Milkshake. 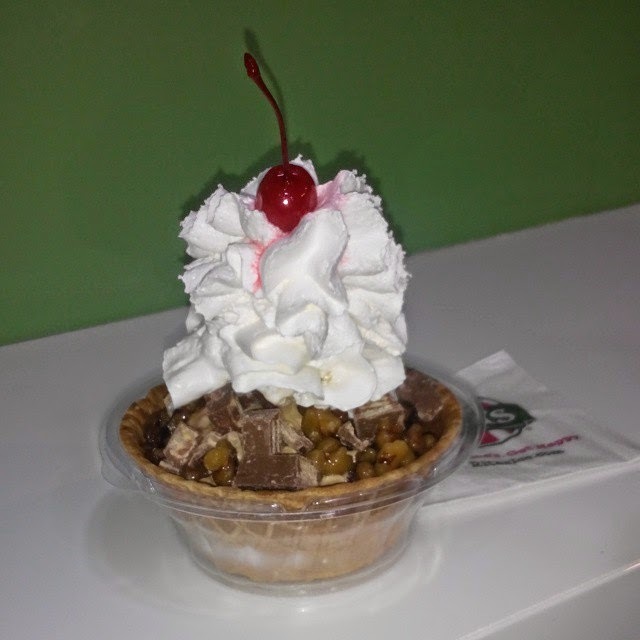 For only P 190, you can customize your large sundae with two add-on options. Choices include M&Ms, strawberries, chocolate chips, peanut butter, wet walnuts, whipped cream, Gummy Bears, hot caramel, cherries, hot fudge, Heath bar and Nerds. 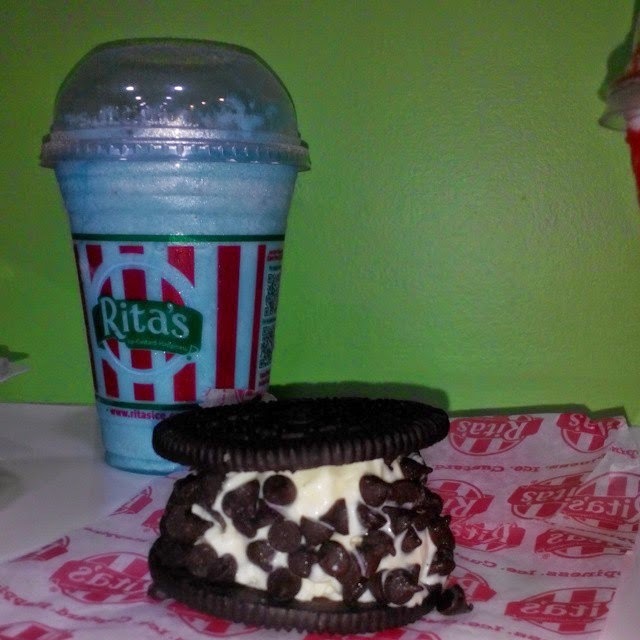 Rita's Italian Ice allows you to personalize your own desserts. Go on and try making your favorite combinations soon. hi. I'm interested in working at Rita's! how can I send my CV? or do you recommend walk-in application?